Abstract Line Wallpaper Pack is an excellent quality digitally rendered set of colorful Abstract wallpapers. Abstract Line Wallpaper Pack is created by firebrick. 8 wallpapers in 1680 x 1050 and 1280 x 1024 sizes. Color: Blue, Gray, Green, Red, Green+Orange, Green+yellow x2, Red+Blue. The above description of details is written by the artist. It is not our own description. It is a ZIP download, the file is 7.9 MB in size. This Article Has Been Shared 1826 Times! Blend Wallpaper is an excellent quality digitally rendered colorful abstract wallpaper for your nice desktop. 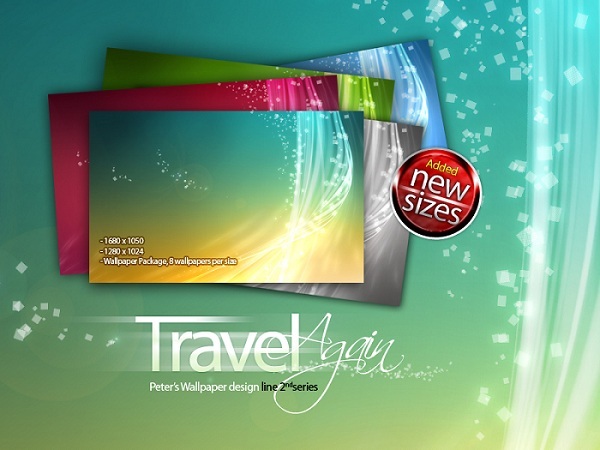 Lights wallpaper package is an excellent quality digitally rendered wallpaper set of colorful abstract wallpapers. Gold Fish Wallpaper is an excellent quality digitally created abstract wallpaper of a Gold Fish on a simulated paper background. Cite this article as: Abhishek Ghosh, "Abstract Line Wallpaper Pack : Set of 8 Colorful Wallpapers," in The Customize Windows, February 27, 2012, April 20, 2019, https://thecustomizewindows.com/2012/02/abstract-line-wallpaper-pack-set-of-8-colorful-wallpapers/.